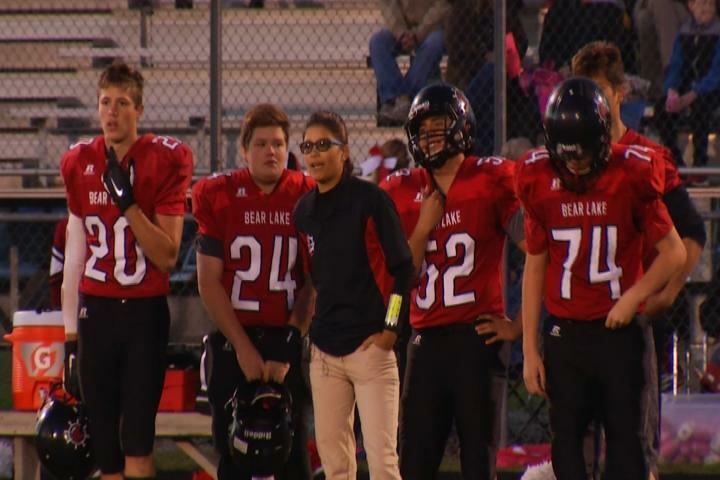 BEAR LAKE – It’s rare to see a woman making an impact on a football team, but in Bear Lake, that’s exactly the case. Sam Mullet is a Bear Lake native who returned to her alma mater to help launch their football program just last year. Her involvement with the team stems from her deep rooted love for the game that started from a very young age. 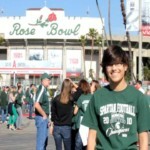 “My football family began when I was probably 3, I think this is our 20th year now, going to Michigan State home games. We’ve had season tickets forever, I don’t remember a time not going,” said Mullet. Her passion especially coming from her dad, who passed away in 2012. 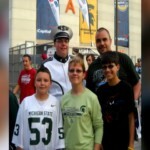 “He definitely took me to football games and he played football until he hurt himself so he supported us being a football family even though he didn’t play. He was all about that being our thing,” added Mullet. 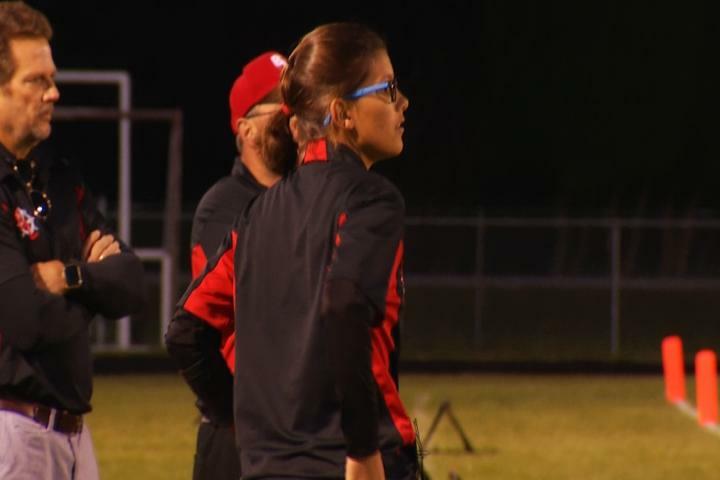 Bear Lake’s Sam Mullet took her love for the game and went from the stands to the sidelines, becoming the only female offensive coordinator in northern Michigan. In 2017, Mullet found out the school was finally starting a football program and that it was being headed up by her former science teacher John Prokes. “I went into his classroom one day when I was back home one day and said ‘I heard we’re getting a football team and that you’re probably going to be the coach. Is there something I can do to help?’ Like I know how to keep stats because I know how to keep stats, I could do that stats, I could do the film, I know what good film looks like I know how to give people water, I’m just so excited we have a football team,” said Mullet. Because he had her as a student and knew how smart and dedicated she was – as she was the valedictorian – he had the perfect position for her. “She offered to help, she said ‘anyway I can help you.’ Well, that kind of evolved to well help me set up our offense, and help me set up how we’re going to run this offense. And she just took the ball and went above and beyond all of my expectations. She was doing all the work for me. So, the next thing became… well wait a minute, why don’t we make this something a little more, why not have you call the offense, why don’t you just run our offense, why don’t you be the offensive coordinator?” said Prokes. A Bear Lake graduate, Mullet returned to her alma mater in 2017 for the school’s inaugural season on the gridiron. 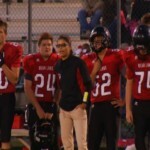 And so, Sam Mullet became the only female offensive coordinator in northern Michigan. “It’s been interesting, to be the play caller. I never saw this coming, never saw it coming. I didn’t have plan, there was no plan and this happened,” said Mullet with a shrug. Coaching has become Mullet’s dream job and helping her players learn the game has been a fun experience for her and them. 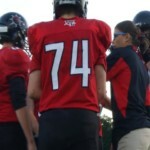 “She’s amazing, she’s energetic in practice and gets everyone into it,” said her sophomore quarterback, Tate Aultman. “They’re like 20 brothers I didn’t know I wanted so it’s been different and it’s a little odd to be the person calling the plays,” added Mullet. 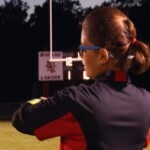 Having a woman on the sidelines as a football coach is out of the ordinary, but it doesn’t feel different to her. Mullet and head coach John Prokes (left) meet with players at halftime of Bear Lake’s game with Big Rapids Crossroads on Saturday, Sept. 22, 2018. 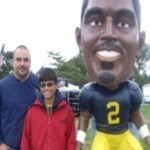 “To me it’s just football players, football coaches and I don’t even pay attention to anything like that I guess. If football is your thing, then football is your thing and just do it. I’m just doing this because this is what I know and this is what I love,” Mullet said. She was the perfect person to come into the program. Some of the boys on the team had never played a down of football in their life, and she had all the knowledge to get them where they needed to be. “She knows more than I do. I challenge anyone to talk to her about football and she can take anyone on in that capacity, there’s no doubt about that,” said Prokes. “She’s quite the coach and I think her future is extremely bright in football,” he added. Bear Lake ended their second season 1-7 in the West Michigan D League Conference. 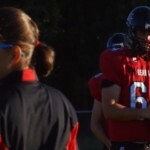 Bear Lake's Sam Mullet took her love for the game and went from the stands to the sidelines, becoming the only female offensive coordinator in northern Michigan.